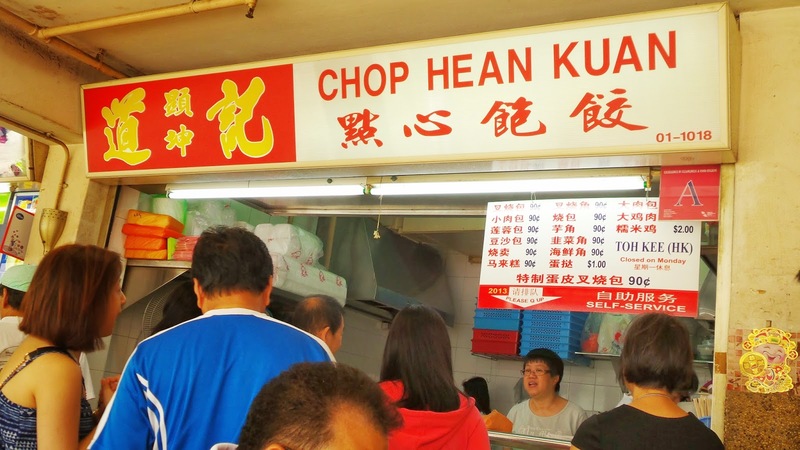 Known for its diverse array of food choices, you will never run out of ideas whichever part of Singapore you are trapped in, if you even have a chance to be. Whether its Balinese, Thai, Vietnamese, Portugese or Middle-Eastern cuisine, you can definitely get what you are craving for in this tiny red dot. A stone's throw from the commercial bustle of the Orchard shopping belt, Backyard@Dempsey sits in a quaint little nook just off the new and very hip Dempsey catchment of F&B establishments. Located at the outskirts of Orchard, Backyard@ Dempsey is more convenient for drivers but being a first-timer, it was not too hard to find either. The hut can be sighted some distance away as we walked towards Minden Road. The open space right outside was free for parking and makes me feel as if I was in a Western country where there is many of such laidback concept-eateries. S reserved a table for 2 but we were allowed to sit anywhere we would like to. Basically because there was not many guests at that point of time and given that it was a weekday evening, there is less likelihood for a semi-secluded bar and restaurant to be packed. We chose a corner al-fresco table. The menu was amazing. Not only does it have a widespread of food choices, their drink list is extensive too. Over here, happy hour is before 7.30pm and we were able to enjoy the promotion while it lasted. I took a long while to mug the menu before putting my bets down which one to order. 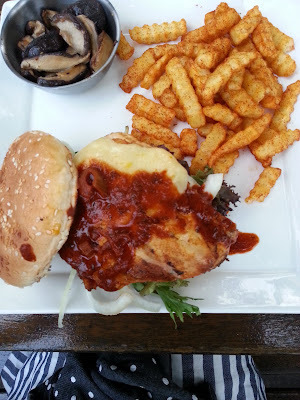 Since S is having the Kronenbourg Beer Batter Fish and Chips ( which I had initially wanted ), I decided to have the Cajun Chicken Burger so that there is a variety, both came with fries and we upgraded the coleslaw to sautéed mushrooms. For the drinks, I had a Backyard Nookie while S had Chocolate Chip. 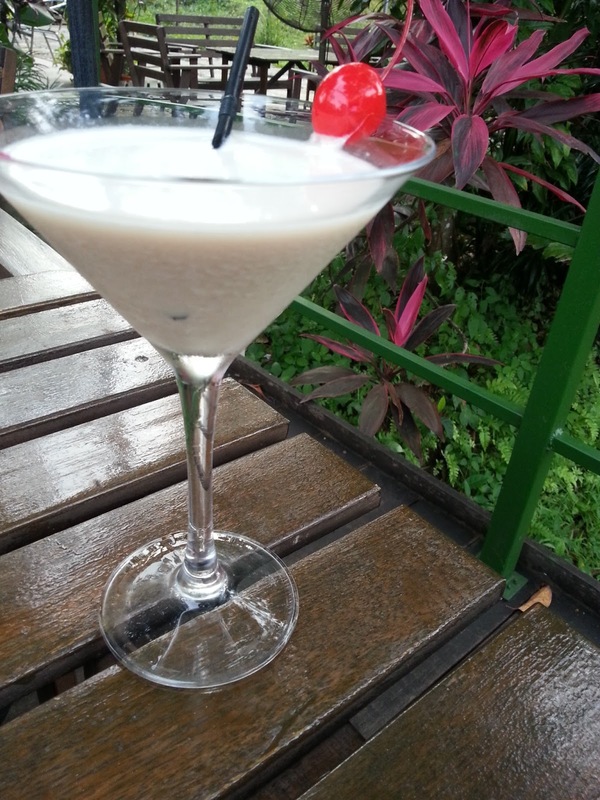 Both are concoctions of Baileys Irish Cream. I wanted Nuts Over Nuts but they no longer serve that as they claimed that it was too hard to make. Sadly, because I was pretty sure that was the best cocktail ever. Our drinks came shortly after and I was a little disappointed as the looks of both turned out to be the same and they taste similar too. I would have wanted something more extraordinary to keep me coming back. 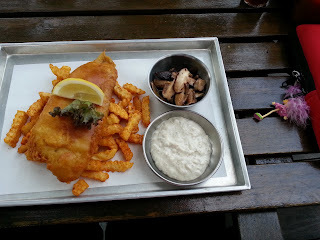 The beer-battered fish and chips arrived first and it looks great. The best decision was to change the coleslaw to our favourite mushrooms as it turned out tangy and the earthy mushrooms taste was splendid - one side dish you never want to miss if you are a shrooms-lover like us. The batter was neither too oily nor thick, while the fish fillet was fresh and fat, unlike some places with their batter thicker than the fish meat, Backyard indeed recommended the right dish to its customers. My Cajun chicken burger is surprisingly good too. The chicken patty was topped with melted cheese and a type of sauce which makes the meat really juicy. The fries were spicy and non-soggy which is up to our expectations. To perfect the fries and make them remain its crisp even towards the end of our meal is almost far-fetched, but Backyard did it. We gobbled down our main courses and chatted comfortably in the ‘backyard’, or so it seemed. Girls always have room for desserts, we ordered the chocolate decadence to share. It was chocolate brownie topped with Haato’s chocolate ice cream and chocolate syrup drizzled over a not-too-overly-loaded whipped cream. The brownie seemed like it was just being removed from the fridge as it was hard and cold. I would very much prefer my brownie to be warmed and served with the ice cream. This final note to our meal did not manage to melt our hearts but we are still pleased with the overall standard of the restaurant in terms of the service, ambience and food. We were being well-taken care of during the entire meal although there were little initiatives, at least there was no major screw ups to dampen our mood. 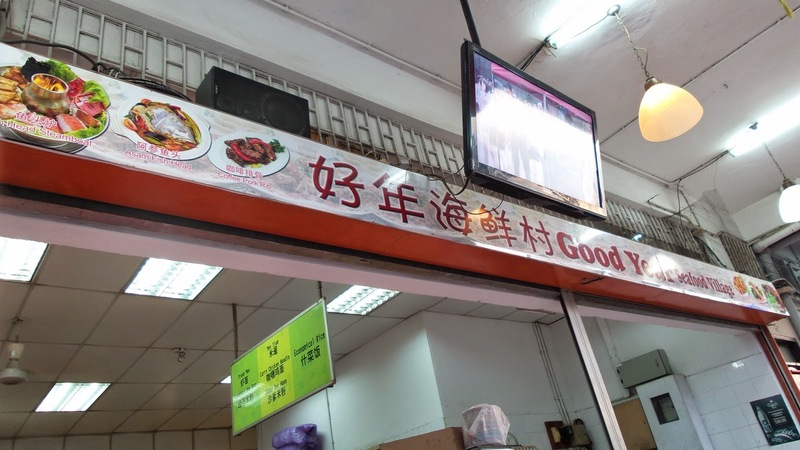 Advice on the food was well-delivered when I probed for recommendations and our requests were handled with care and speed. The waiters were friendly and amiable which enhanced our dining experience. Nestled in the lush and mature greenery off the bustling shopping district, the casual and laid-back restaurant is just about anybody’s ideal dining venue for an unpretentious experience. The only downside was that we were greeted by unexpected guest – the mosquitos. Even though there was insect repellent placed beneath the table, both of us got bitten pretty badly by the end of the meal. Perhaps our blood are simply too sweet to resist! Backyard@Dempsey is the perfect choice for lunch, dinner or simply an after-dinner drink, one will be spoilt with the array of wallet-friendly choices. Be pampered by the excellent service coupled with peace and tranquility in this little nook in the woods. And chill away with the live jamming on Friday nights and not to forget other desirable promotions on a daily basis too!